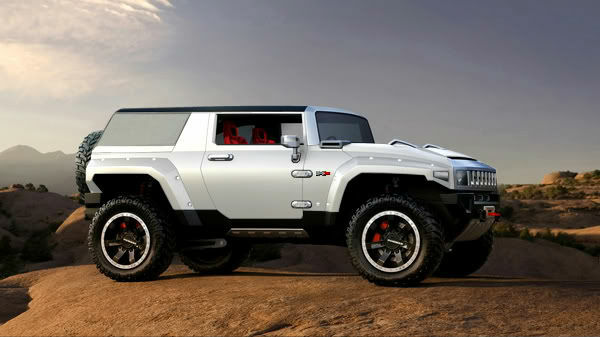 The Hummer HX is a two-door SUV compact SUV concept that was unveiled at the North American International Auto Show 2008 by General Motors. 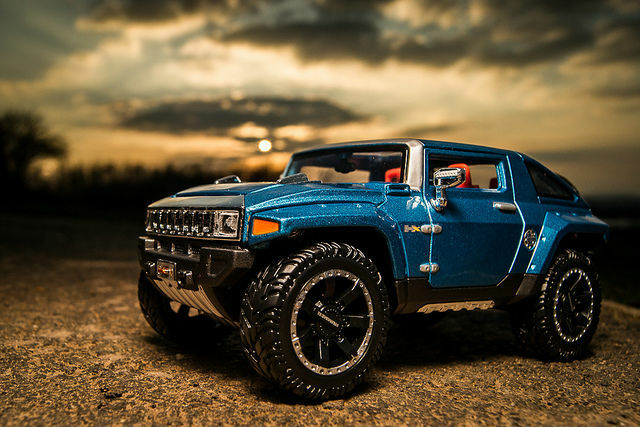 he objective of the HX was to position the Hummer brand in a market segment smaller and cheaper. 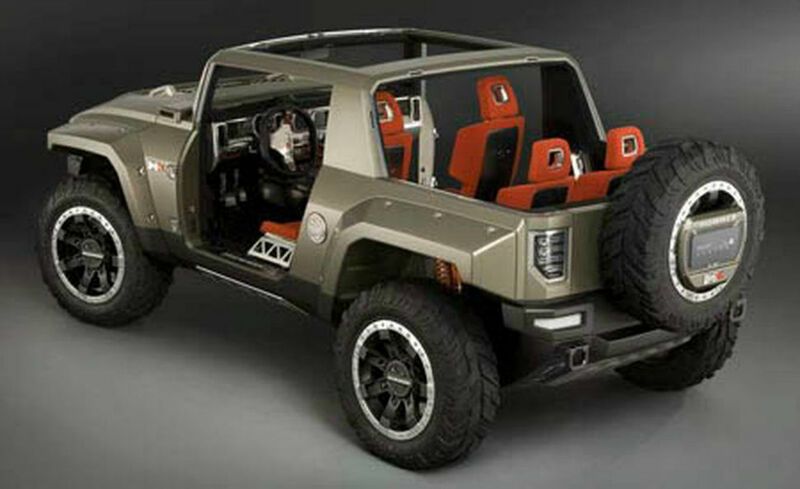 Development of the vehicle, known as H4, began in 2004 and the new model was to be Jeep Wrangler sized. The 2008 HX show car was smaller than both the H2 and H3. 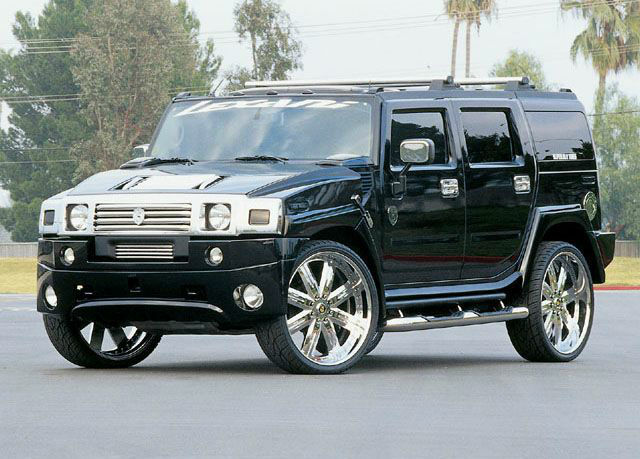 It was powered by a 3.6 L (220 cu in) V6 engine mated to a six-speed automatic transmission. 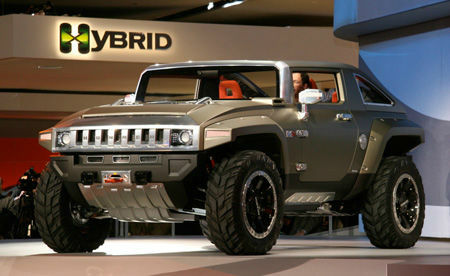 The HX shared with other Hummers design body on chassis with independent front and rear suspension, brakes, four-wheel drive, and permanent four-wheel drive. 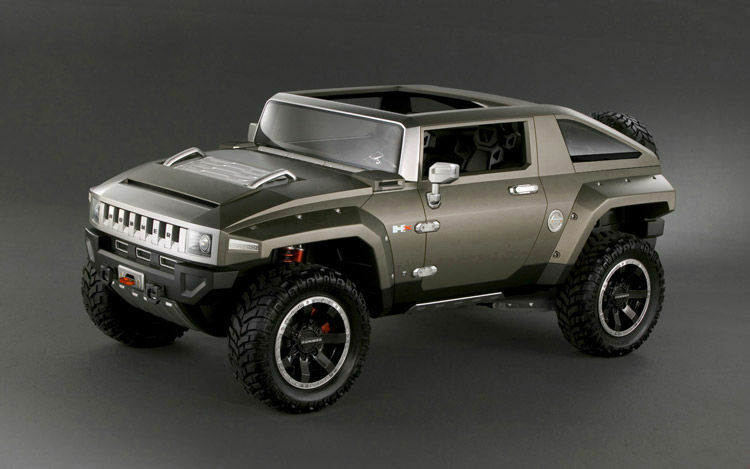 The HX was shown with a tilted back configuration, wearing a paint scheme matte olive desert inspiration, and featured removable doors with hinge pins exposed and removable composite fenders that are attached with fasteners quarter turn quick release. Matt olive Exterior also applies to much of panels sheet metal cover inside. The floor was made of a rubber material. The HX seats four, with a pair of bucket-type seats in the second row. The removable rear seats allow cargo space. The console includes a compartment for mobile phones and MP3 players without conventional radio, only integrated the speakers and connector for digital players or similar devices. 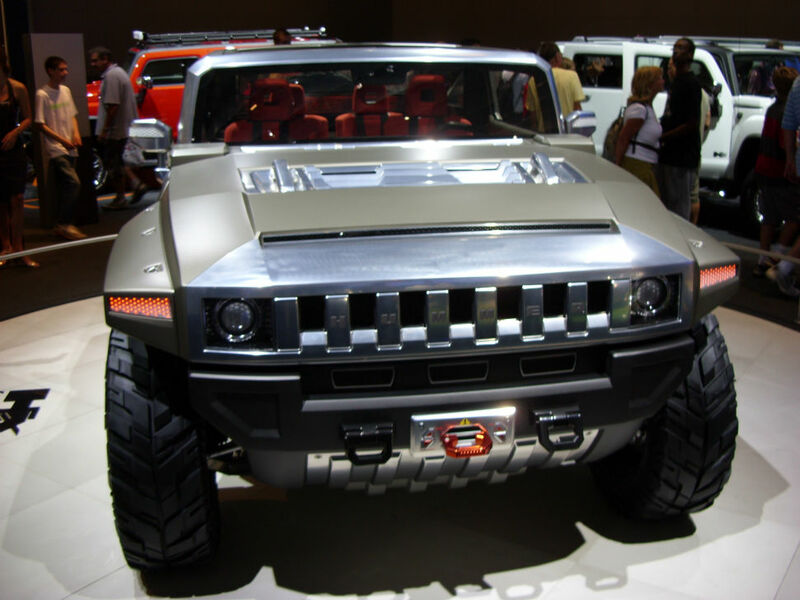 The 3 designers who were new to the General Motors, Robert Jablonski, Kang Min-young, a native of South Korea, and David Rojas, a native of Peru, participated in the development of the Hummer HX.